What is literary translation and what’s it all about? 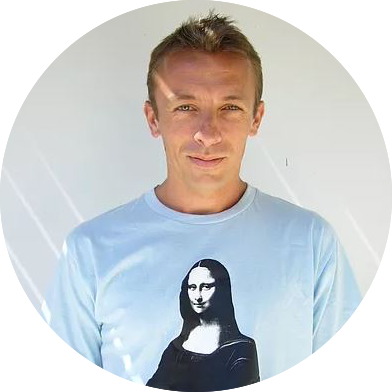 Join me as I embark on an eye-opening interview with Sam Taylor, author, and translator of many major French publications – including Leïla Slimani’s best-selling novel, ‘The Perfect Nanny’. For as long as I can remember, I have only memorized the name of the author of a work of prose or poetry – be it in its original version, or translated into English or French. I wasn’t interested in its translator if there was one. When I read such masterpieces as ‘The Name of the Rose’ by Umberto Eco, or ‘One Hundred Years of Solitude’ by Gabriel García Márquez, I took the words at face value and never wondered who had translated them. Translators were the unknown soldiers of my literary discoveries. Over the years, I would eavesdrop on conversations about a particular Shakespeare production being worth a re-visit due to its “new and improved translated version” at a theatre in Paris. I had been fine with the previous version! Although I was aware of the importance of translating, I was still not interested in the human and qualitative aspect of it. Only recently did I realize that the literary translator should not be ignored and that his/her work should be as much acknowledged and valued as the writer’s work. Indeed, it requires specific skills that not all bilingual people possess – and the responsibility is immense. Nowadays, there is definitely a trend towards awareness. 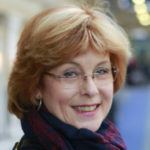 Thanks to Carolyne Lee, a member of the MyFenchLife™ community and a translator herself, I discovered Asymptote Journal, described as “the premier site for world literature in translation”. 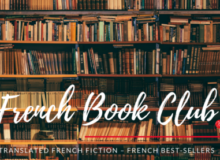 In this respect, when MyFrenchLife™ launched a book club of recently-translated, award-winning and best-selling French novels last month, I delved deeper into my role as facilitator and became fascinated by the translation process. 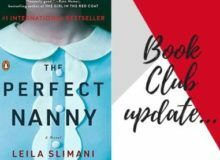 In my research, I came across Sam Taylor’s name on many occasions – and not just because he was the translator of the first book on our reading list: ‘The Perfect Nanny’ or ‘Lullaby’ by Leïla Slimani. Sam Taylor had already translated other major recent French novels. I quickly found his site and contact details. I was eager to ask him a few questions, which he kindly answered. 1. Which is your preferred title, the UK one or the US one? If you prefer ‘Lullaby’, did you have much input on the decision to name the US version ‘The Perfect Nanny’? “The different titles of the book in the US and the UK reflect different visions of what kind of book it is, I think, and most of all how it should be promoted. I preferred ‘Lullaby’ because it sounds more literary, and it reads like a literary novel to me. But Penguin US aggressively promoted the book as a thriller, and for that angle, ‘The Perfect Nanny’ probably works better. Leïla Slimani was happy with that approach, so who am I to argue? 2. How long did it take you to translate this novel? Were you in contact with Leïla Slimani? Did she give you any direction? “It’s a fairly short novel, so it probably only took me four or five weeks – I can’t remember precisely. I never even exchanged an email with Leïla Slimani, which is unusual. 3. 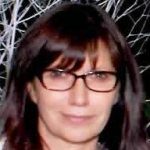 Is it absolutely necessary for a translator to read the whole narrative in the original language before translating, or do you have a particular way of doing things? “I think it’s preferable to read the whole book first, but it’s not necessary and it’s not always possible. 4. With such a powerful story, and one which echoes many people’s personal fears (i.e. 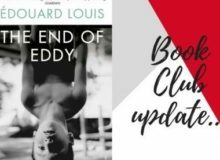 what makes an apparently normal human being turn into the most atrocious murderer) was it not difficult to execute your work in an unbiased fashion, instead of acting as the would-be reader-investigator that Leïla Slimani forces us to be after the first chapter’s revelations? “I don’t think a translator has to be neutral towards the book they’re translating. In fact, passion is a plus. Part of what you’re translating is the indefinable spark that pulses beneath the words, and if the book doesn’t affect you emotionally, it’s more difficult to render that spark into English. I don’t love every book I translate, of course, but it’s always more fun when I do. 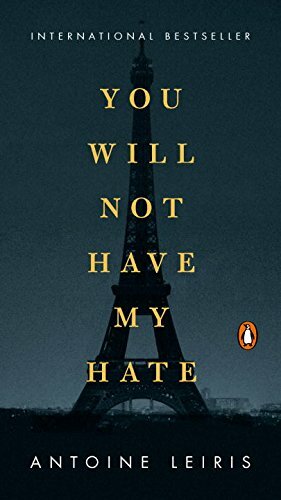 The biggest emotional reaction I’ve had to a translation was with Antoine Leiris’s ‘You Will Not Have My Hate’, which made me cry several times. And I loved translating ‘In Paris With You’, so I’m really glad you’re thinking of recommending that to your book group. I could not be happier with Sam Taylor’s answers and I’m extremely grateful for the time he spent answering. They have not only shed light on many of my questions about his work, but they have also introduced me to a new genre of reading. I will probably never again take a foreign book for granted in my mother tongue. What do you think of Sam Taylor’s responses? Do you usually pay attention to the translator of a book? We’d love to hear your thoughts and comments in the box below. Thank you for this article and the interesting interview. And I’m very glad to have helped you discover the online translation journal Asymptote. 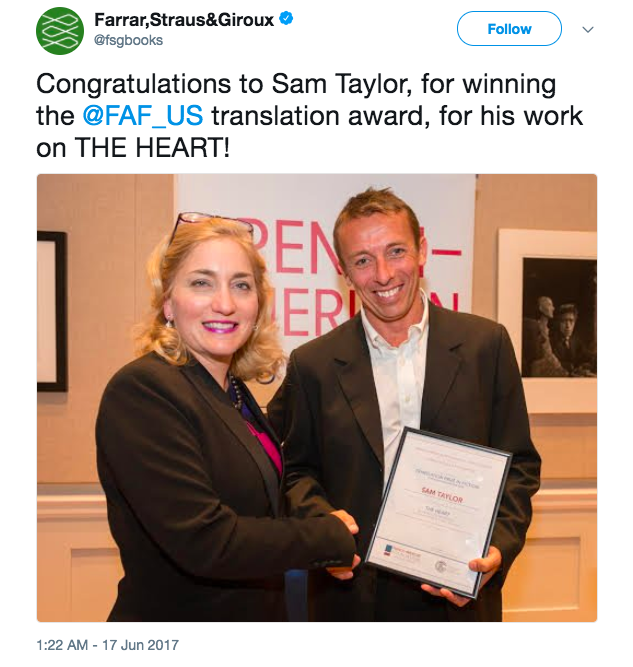 I completely identify with Sam Taylor’s view that translation is much more fun when one is passionate about the work that one is translating. It’s true, as you say in the article, that in recent years translators of literary works have become more recognised, at least in part thanks to translators’ advocacy organisations that have quietly lobbied for this. Translation is certain a work of creation in itself, albeit a derivative one (official definition), and you can witness this creativity if you read two different translations of a work (e.g. Madame Bovary which, from memory, exists in at least 20 different English translations), which may make you feel you are reading two completely different works. The great challenge that I find when translating French to English (and it must be the case with all translations) is to render the prose in language that is going to seem natural to the native English speaker, but which also retains, like a palimpsest, the trace of its Frenchness underneath. There is also the matter of translating the tone and the feeling of the work, intangibles that have to be first grasped by the translator when she or he first reads the work. Sometimes I read a work in French–e.g. 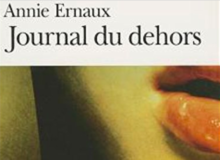 Annie Ernaux’s Des Années, which I ADORED–and I then try to read it in English translation, but find it does not work for me, or at least this particular book did not work for me in English. As a translator I probably already had an idea in my head of how I would have done it, and so my preconceived notions ruined my experience of reading it in English. There was also the change of punctuation which annoyed me. Ernaux had not used any special punctuation in her original French stream of consciousness type of prose, whereas the English translator had felt obliged to use short dashes to start off the sentence fragments. These little dashes ruined it for me! English literature has long been fruitful soil for stream of consciousness techniques, with Virginia Woolf, James Joyce, and many others, and I felt offended that the translator thought we needed some special punctuation to help us digest it! These may all be personal quibbles that no one else would notice, but I cite them in order to show that for a translator, such elements are all very salient and will affect the way we translate.